Btown Flooring - Carpets/Flooring based in Portslade, East Sussex. 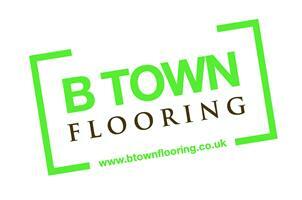 Btown Flooring is a small family run business based in East Sussex. We offer a high quality floor sanding services from professional staff that have over 10 years’ experience within the industry. We have vast experience in restoration work on many floors, whether you’re looking to restore your traditional Victorian pine floor, parquet floor or modern hard wood Oak floor, we are the team that can provide this service with hard work and honesty. We offer free quotations with the guarantee we will provide a competitive price for a excellent service. We are regularly asked "how dusty will it be?" and the answer is honestly "not very" ! We have one of the best sanding machines on the market designed from Swedish company Bona, which has a powerful extraction unit built into it. The Bona sander improves craftsmen’s conditions and sets new standards with efficient, low dust output. We also have extraction units for smaller detail sanders which contributes to help keep dust at bay. With fully trained staff, we can promise your floor will be restored to the best standard possible. We take great pride in our work which can be seen in our portfolio on our website to ensure we get repeat custom and regular recommendations. We ALWAYS liaise with customers through out the job informing them if necessary of any changes or unforeseen circumstances. Brighton, Hove, Hassocks, Burgess Hill, Hayward's Heath, Lewe's, East Sussex, Kent, West Sussex.